Water Life is an attempt to mix the scripting techniques developed in the "Where are all bird going?" 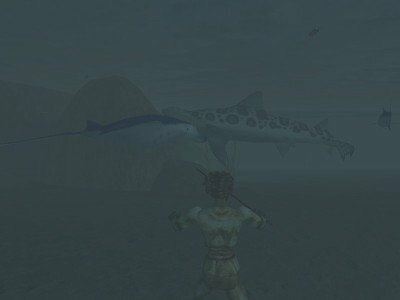 plugin with the best aquatic creature modding resources to bring more life into Morrowind waters. This plugin mainly adds to Morrowind (most) peaceful aquatic creatures based on the wonderful models & textures by Cait Sith, Lady Eternity & Proudfoot, Brash. - compatibility with all existing & future plugins, thanks to the dynamic, real time placement/deletion of all items and water areas recognition. What makes this plugin really different is the way (with pros and cons) creatures are placed in the world and the effort to make them more "alive". You can hate or love this way of placing creatures, but I think it's worth a try.